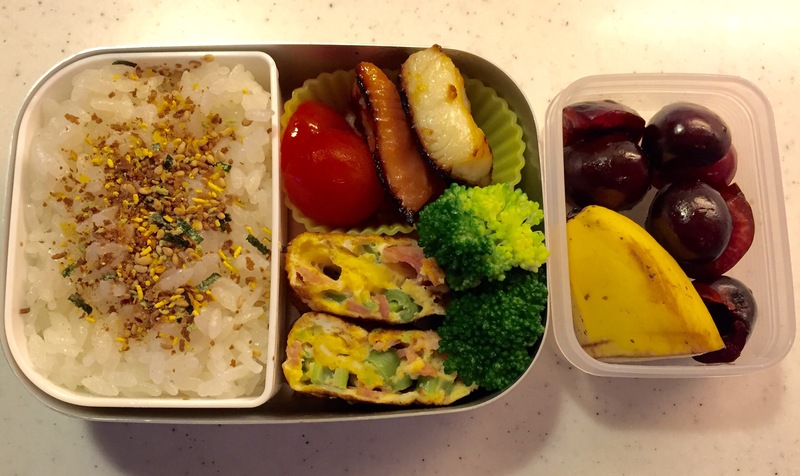 Do you know this Japanese magical sprinkle called furikake? 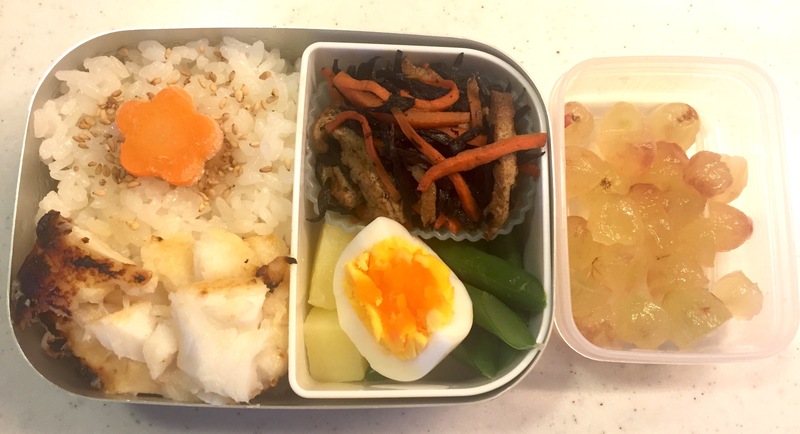 It literally means “sprinkle” in Japanese and is made of flavored dried fish flakes, nori seaweed, dried egg flakes, etc. Usually furikake is industrially made and can be purchased at any supermarket here in Japan. We sprinkle it over freshly cooked rice when there is not much other food to eat your rice with. It’s just some fish flakes you may think, but it always works wonders with children. Our girl was no exception, who loved every bit of it with great pleasure. 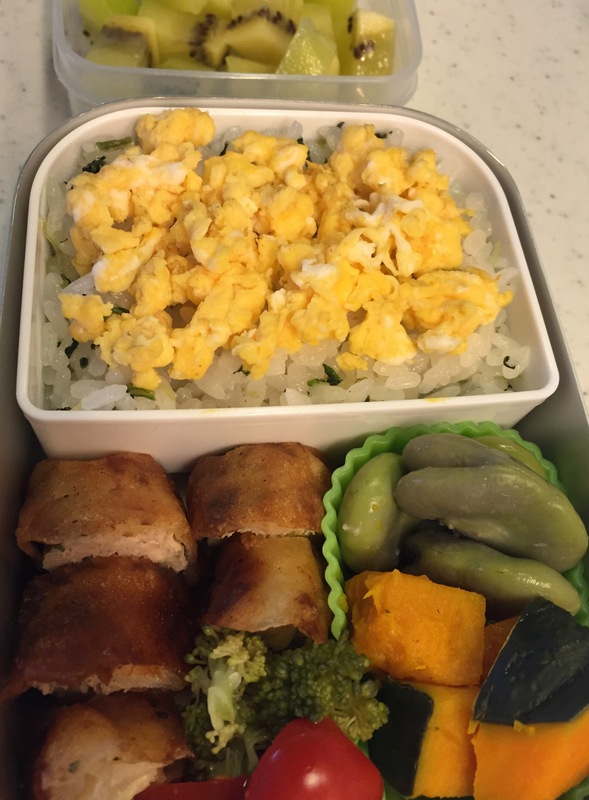 Tofu + chicken mince + egg + ginger + shiso = success! 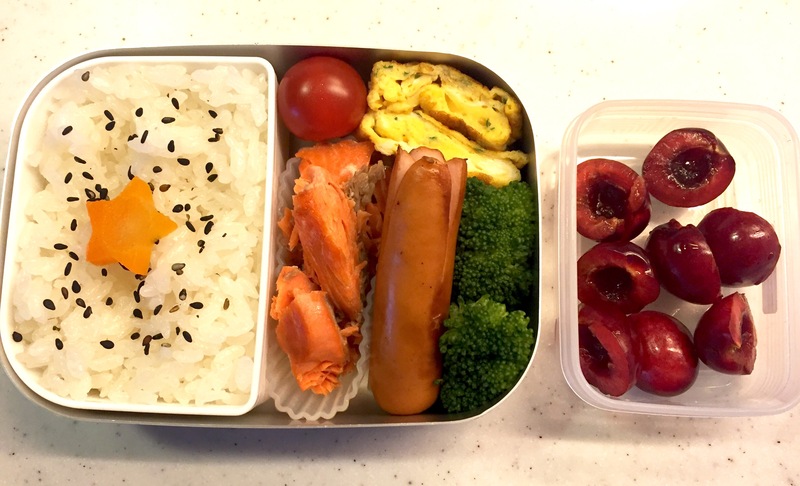 Sausage is one of the most common food for packed lunches in Japan. We put two incisions in a cross at one side of a sausage and lightly fry it, and that makes cute, octopus lookalike legs. 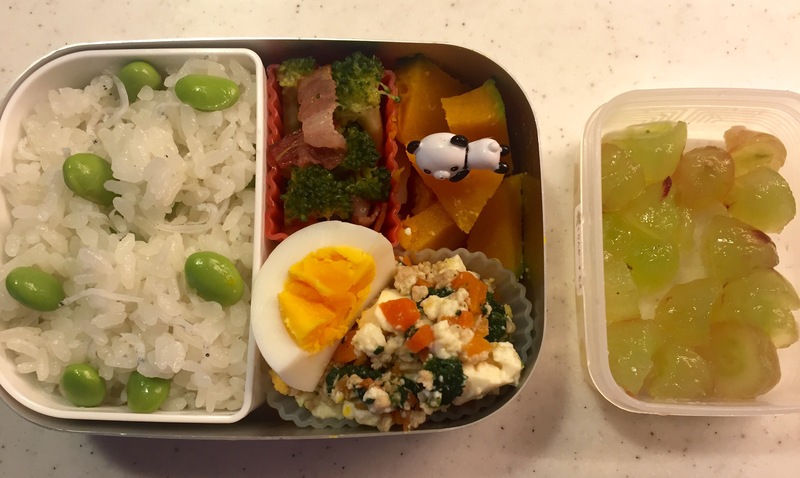 Easy but nice trick in a bento for the little ones. 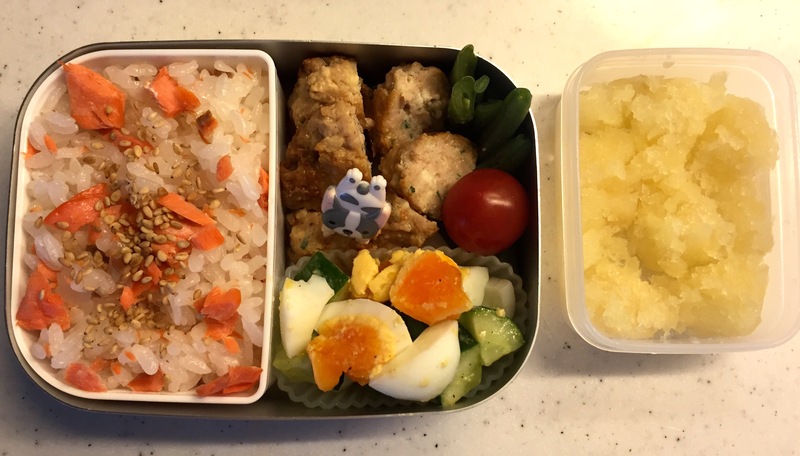 The star shaped carrot for an additional colour for an otherwise a little dull bento on a Monday morning. The evening before, I took my first ever attempt to make spring rolls. Against my wishes, I usually avoid deep frying for two reasons. One is the greasy smell (my kitchen is not separated from the living room and is located right next to the main bedroom which sliding doors are always open for spatial purposes – as per strict instructions from my architect husband). The other reason is of course the high calories; it’s always shocking how much oil is involved in making something so addictively tasty. 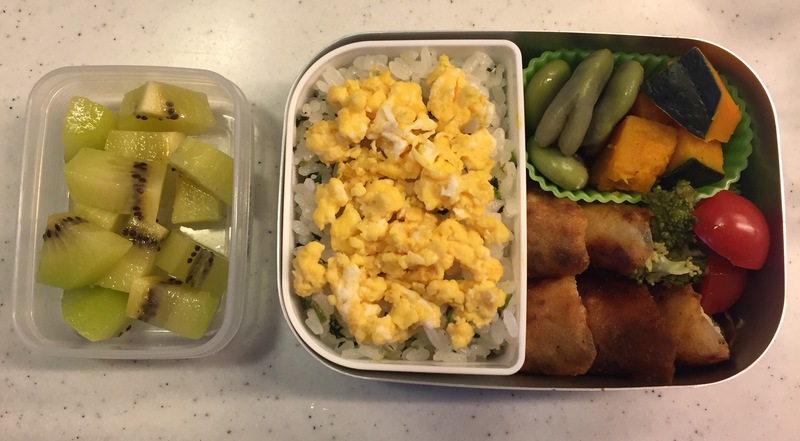 But with my recipes running out for my daughter’s daily packed lunch, I couldn’t help but step into an unfamiliar yet exciting territory: the world of deep fried food. Thinking about all the possibilities opening up, it thrills me. My mom makes delicious tempura, and it’s about time that I acquire her skill. Oh never forget, potato and meat crocket…reminds me of my childhood when I used to buy a fresh and super hot one at a butcher on my way back from school and ate it as I walked home. It was great snack… I preferred that to icecream. Aji-fry (deep fried yellowtail fish), and tonkatsu (Japanese style pork schnitzel) with sweet Japanese Wooster sauce… Ah picturing them in my mind makes my mouth water. Anyway back to my first spring rolls. I put chicken mince (mixed with grated ginger, soysauce, sake, mirin, and leftover egg white), sliced cabbage, cheese, and shiso leaves in the spring roll sheets and deep fried them. Came out better than I expected, and most importantly, our little big girl loved and eat them all! That’s it! Super easy, and no need for marinating the meat in advance. 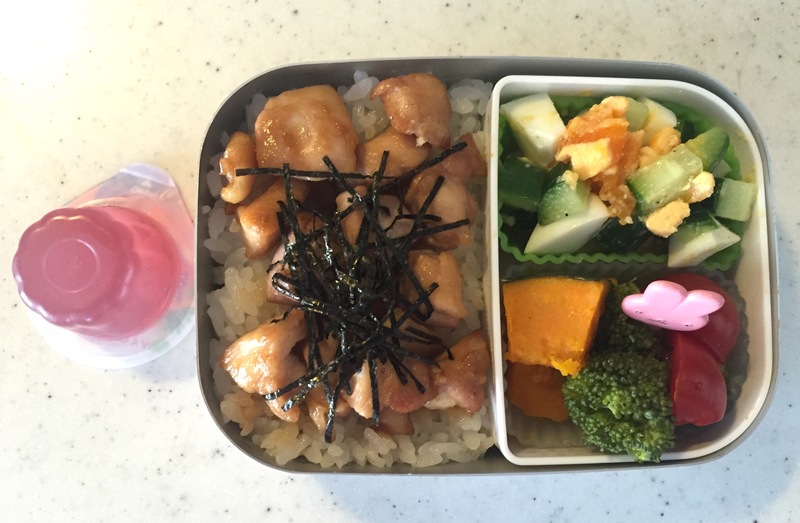 Just place the chicken on top of freshly cooked rice and sprinkle some nori seaweed before serving.